And for the talent part of the contest, we would have no limit of teachers and helpers with the talent of taking care of our little students like they were their very own. We’re also sure that the judges will love our 3-star rating by The Tennessee Star-Quality Child Care Program. The 3-star rating is the best possible rating and means The Academy daycares in Franklin, TN meet the highest possible standards in child care. Of course, there is no real Best Daycares in Franklin TN contest, but there are some real judges – all the parents out there with children in day cares. And the judges have already spoken – loud and clear. For nine years in a row, parents have voted us the Best of Parenting Award, given by Nashville Parents Magazine. Awards and contests have their place, but to us at The Academy, our reward is a job well done. The way we see it, our job is to give children the highest quality care in a fun and safe environment, and to provide parent with peace of mind that their children are receiving the best possible care. This is the job we do every day, without fail, and we love what we do. 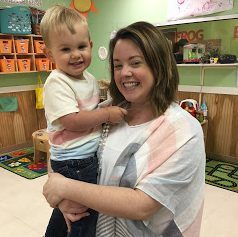 If you’re searching for the best daycares Franklin TN has to offer we hope that you will visit one of our centers and get to know us better. We are convinced that you will think we are one of the best daycares in Franklin, too.